The sounds you hear are from decoded information on interactions of the solar ionic wind, the planet's magnetosphere, plasma wave phenomena and interactions between the planet's ionosphere and magnetosphere. These vibration frequency recordings are all within the range of human hearing (20-20,000 cycles per second). These recordings have been specially processed, filtered, and spacially mastered in 3-D sound with frequencies for achieving deep states of relaxation.In order to achieve the best possible quality in audio reproduction, these tapes are processed on special high-end chrome tape, Coherence Technology™ for removing all extraneous noise, HX Pro for super high fidelity, 3-D sound processing using the BASE System™, and our own BMR Processing™.The epic space flights of Voyager I and II soar across our Solar System. This unique series of recordings is created from original Voyager recordings of the electromagnetic "voices" of the planets and moons in our Solar System. Although space is a virtual vacuum, this does not mean there is no sound in space. Sound does exist in electronic vibrations. The specially designed instruments on board the Voyagers performed special experiments to pick up and record these vibrations, all within the range of human hearing. 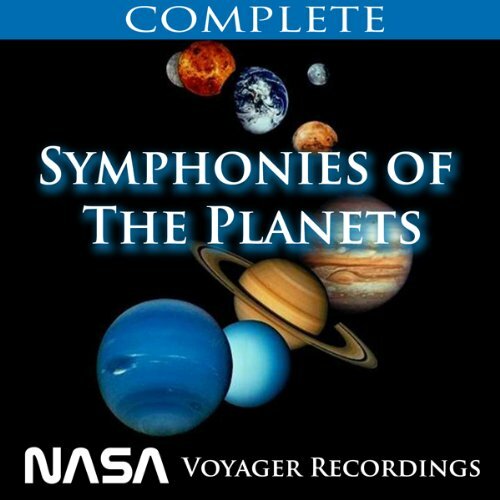 Hear the beautful songs of the planets. The complex interactions of the cosmic plasma of the universe, charged electromagnetic particles from the solar wind, planetary magnetosphere, rings and moons create vibration "soundscapes" which are at once utterly alien and deeply familiar to the human ear. Some of these sounds are hauntingly like human voices singing, giant Tibetan bowls, wind, waves, birds and dolphins. Fly out into space with this album. Imagine, all the space films released before this album had SPACEY sound f/x. But somehow they got it right. How could we have known what spacey sounds would sound like. Yet listen to this and you'll here lots of sounds that should sound as we would expect them to sound. Spacey. weird that. Really out of this world! I enjoyed listening to this and will play it/parts of it many times for relaxation and concentration. There is no story and no narrator but I am glad I purchased this item. It would have been nice to have an indication as to what you are listening to though, some sort of commentary however brief. If you could sum up Nasa Voyager Space Sounds (Complete) in three words, what would they be? What was most disappointing about ABN’s story? The lack of an introduction was disappointing. I had to come back to audible and read the publishers description to gain some understanding of what i was listening to.